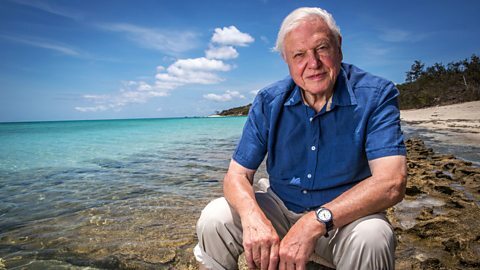 Sir David Attenborough at the Great Barrier Reef in his recent BBC series. Photo: BBC. Climate change is causing significant damage to a multi billion dollar sector of the tourism industry, the coral reefs of 100 countries and territories, and scientists say there is only a narrowing window of opportunity in which to preserve what’s left of it. A report published in April 2017 put the value of “on-reef and reef-adjacent” tourism activities globally at $36 billion per year. Yet this entire market could be lost well within the course of this coming century century, scientists warn. About 70 percent of the world’s reefs are thought to have been affected by global warming to some extent, and the majority of reefs within the United States, for example, could die off within a few decades. The biggest, and best known, casualty by far is the Great Barrier Reef off the coast of western Australia. Significant damage has been caused in the past two summers by “coral bleaching”, a consequence of warming seawater. The Reef suffered unprecedented damage from the 2016 bleaching, which led to about a quarter of the reef’s coral being killed. The northern Great Barrier Reef has lost the majority of its coral, declining from about 25% coral cover in 2010 to just 10%. The tourism industry has promoted the unique balm of diving and drifting over the abundant ecosystem of the coral reef, or observing it from a boat, for many years. But only recently has the enormous monetary value to the industry of this unique ecosystem been computed. A study published in the Journal of Marine Policy (April 2017) finds that coral reefs generate $36 billion in global tourism value per year. That figure is broken down into local “reef-adjacent” value, which describes a range of indirect benefits from coral reefs, including the provision of sandy beaches, sheltered water, food, and attractive views. The second component is “on-reef” value, which refers to “in-water activities” such diving and snorkelling and and glass-bottomed boat trips. It describes global coral reef related tourism as “one of the most significant examples of nature-based tourism from a single ecosystem.” The report’s authors estimate that 30% of the world’s reefs are of value in the tourism sector, attracting foreign and domestic visitors and generate revenues. Over 70 countries and territories have “million dollar reefs”, or reefs that generate approximately $1 million per square kilometer. These reefs generate jobs, and vital foreign exchange earnings for many small island states that have few alternative sources of employment and income. The report points to the growing concerns about the long-term future of coral reefs in a changing climate. However its conclusions are essentially optimistic. This tone of reassurance doesn’t square with the alarm being sounded over the recent devastating damage to the Great Barrier Reef, however. Marine heatwaves have caused the death of about 50 per cent of the Reef’s corals in the past two summers alone. Bleaching caused by climate change killed almost a quarter of its coral in 2016, and many scientists believe it could be too late to save the rest. As well as warming water, the impact of cycles, cyclones, and pollution, is contributing to the damage. The Great Barrier Reef is the best known coral reef casualty of global warming, but the problem is far more widespread. As much as 70 percent of the world’s reefs have been affected by warming waters, and scientists fear that the majority of reefs within the United States, concentrated in Hawaii, Florida, Guam and Puerto Rico, and already under severe threat, could die off by mid-century. Coral reefs derive their bright colours from the algae zooxanthellae, which provide the reef with food and oxygen. However exposure to carbon dioxide causes a rise in sea temperature to a point where the algae can’t survive. The algae die off, followed by the reefs. Reading current articles, and scientific studies on the condition and fate of the coral reef, it’s difficult to make confident predictions about their survival over the coming century, with the enormous loss to the worldwide tourism industry that would mean. The latest report, published in Nature, June 1, 2017, proposes that the world’s corals, including the Great Barrier Reef, can be saved but only with concerted efforts to “coordinate management, recalibrate research and enact steep curbs to carbon emissions”. And the window of opportunity is “narrowing”. And what’s the prognosis for the world’s showpiece reef, the Great Barrier Reef? Contradicting the widely held perception that the entire reef is in terminal decline, parts of it, mainly in the southern section not regularly affected by problems such as cyclones, have shown an ability to regenerate. But it will still require a sharp change of course, in Australia as elsewhere. Imogen Zethoven, from the Australian Marine Conservation Society, told the Guardian https://www.theguardian.com/environment/2017/jun/01/great-barrier-reef-sharply-declines-in-north-but-signs-coral-recovering-elsewhere: “It’s not too late to save our reef but the federal government must stop the Adani coalmine, reject all new coalmines and switch to 100% renewable energy as a matter of urgency”.